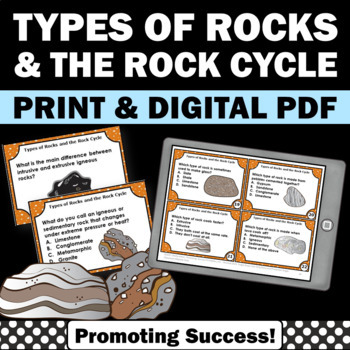 Elementary teachers will download 30 printable earth science task cards for students to learn about types of rocks and the rock cycle. 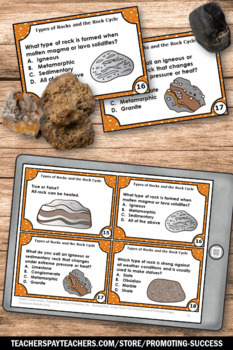 They work well for games and activities in science centers and stations. 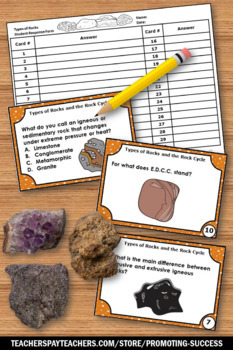 NOTE: Students will need to use classroom resources or their own research for the answers. The first 15 questions are short answer, and the last 15 questions are multiple choice. 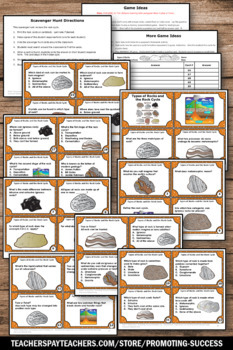 Game ideas and activities, a student response form and answer key are included.